professional before making any dietary changes. Stay up to date with Low Oxalate Diet Info. 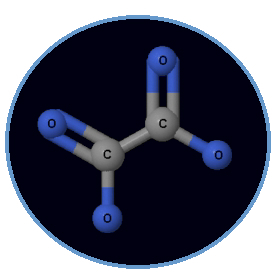 Oxalate is a very simple sort of molecule. It links up with calcium and crystallizes under some conditions, including when it encounters damaged tissues. The crystals formed this way can be quite irritating and painful to tissues where they cause or increase inflammation. These crystals can be especially painful if they lodge themselves in places where they get in the way of the movement of other things through tight places. These physical issues are easy to understand, but there are still many secrets being discovered about how oxalate interacts with our metabolism. Research shows that it tangles with cellular issues like altering the cell membrane by lipid peroxidation and oxidizing and interfering with the trafficking of glutathione. In the mitochondrion it impairs many enzymes that furnish the energy for cell life. Oxalate changes what happens in the cytosol, the fluid interior of cells where calcium waves regulate complex chemistry, and where it can also alter the function of ion channels. Oxalate changes calcium storage in the endoplasmic reticulum where calcium is kept available for cell signaling and cell death programs. Oxalate enters the nucleus of cells, where DNA gives the recipe for making proteins, but there oxalate modifies transcription in unknown ways that are only now being studied. Because it is so reactive, oxalate also interferes with the duties of many other positively charged ions like magnesium, zinc, copper, iron, manganese, and more. This may alter the role of these ions in enzymes and in other complex molecules. Oxalate specifically impairs iron's intracellular release, and interferes with the whole class of biotin-dependent enzymes called carboxylases. These disruptions of cell chemistry are not what happens when oxalate is bound to calcium, but are what happens when it ISN'T bound to calcium. Its free state allows it to cross into the cell as an ion on transporters generally designed to move sulfate into cells. When someone is low in sulfate, this may change where oxalate is taken. Where does oxalate come from? Oxalate is present in a lot of plants and fruit that we eat. It is especially high in almost all seeds and nuts, but in some more than others. Ordinarily, the gut won't absorb much of the oxalate from the diet because most of the oxalate will be metabolized by the flora or just leave the body with the stool. Under other conditions, such as when there is gut inflammation, a lot of dietary oxalate is absorbed. The difference can be as great as going from 1-2% of the dietary oxalate absorbed to as high as 50%. Over absorption of oxalate will also occur when the tight junctions between intestinal cells open up and let molecules pass to the other side going between the cells. This condition, called the "leaky gut", may happen during illness, or when cells in the gut die, leaving gaps, and may bring with it allergies to foods. This condition is similar to when the bladder has open junctions called the "leaky bladder", or when the blood brain barrier is compromised. The colon may also absorb too much oxalate when small bowel function is compromised by surgery, by poor pancreatic function, and/or by fat maldigestion. How does this happen and why is it a problem? When substances move to the blood from the gut by slipping around intestinal cells, they bypass the regulation that is present when these same substances move across through the inside of these cells. Intestinal cells can control the quantity that crosses. They do this by regulating the number of transporters or carriers that span the cell membrane and allow that particular substance into the cell. After a substance crosses the cell to the blood side, it can leave the cell to join the blood using a different set of transporters that are on the blood or "exit" side. These transporters are very specific for particular chemicals or nutrients. Because intestinal cells control admission and exit from both the gut and blood side, that's why the body can send signals to these cells instructing them whether to absorb more or absorb less of a substance from food. So cells can erect barriers, if you will, to prevent too much of a substance to cross, and this regulation can protect us. Unfortunately, the body loses that regulation when substances are absorbed through the "leaky" junctions BETWEEN cells. Oxalate is just one of the unfortunate substances where unregulated absorption is a problem. At least now we know about oxalate, but other things in food may also be a problem, like gluten, and for some, casein, or allergenic foods. Whenever more oxalate is absorbed like this, the result is increased levels of oxalate in blood and urine and in tissues. More of it stays in the bone than anywhere, but it also goes into blood vessels, and glands, and secretory organs and even the spleen and heart. It can even get into the brain, most likely the parts of the brain that regulate hormones! When scientists or doctors measure oxalate being high in urine, they call this hyperoxaluria. Unfortunately, oxalate may be high in blood or tissues when it isn't high in urine. This is a serious limitation of urine testing, because it doesn't tell us when people may have trouble secreting oxalate to urine. In that case, more oxalate may be retained in the body than the urine test suggests. Our almost exclusive reliance on urine tests is one reason scientists haven't sufficiently studied oxalate-related conditions in the rest of the body when their patients had no obvious kidney disease. Eating foods high in oxalate is not the only way for oxalate to get high in cells and blood. Our bodies make oxalate on their own, especially when certain enzymes aren't balanced in their activity because of genetic differences or because someone has deficiencies in enzyme cofactors like vitamin B6, magnesium or thiamine. Oxalate also can be generated in the body when someone is getting high doses of vitamin C or consuming high levels of fructose. Normally, when oxalate travels through the gut, it may encounter particular species of bacteria which will digest it and turn it into something else that isn't so irritating and harmful. This system of microbial digestion of oxalate may be why the body seems to purposefully route excess oxalate from the rest of the body to the gut for disposal. Unfortunately, the very microbes we need to do this digesting of oxalate for us are subject to being killed by antibiotics in common use. (see link) Even if there was no exposure to antibiotics, these microbes might not have colonized in very young children. The main oxalate degrading bacteria, oxalobacter formigenes, does not tend to be present in breastmilk, but scientists think it must be picked up gradually from the environment. Lactobacillus acidophilus deprived of its usual food, may be able to “eat” oxalate, but too much oxalate in its diet may kill it off. This may explain why certain people have great difficulty colonizing lactobacillus acidophilus, despite constant use of probiotics containing it. Fortunately, a probiotic formulation of a bacteria called oxalobacter formigenes is under development as a drug for patients with hyperoxaluria and related conditions, and it is currently in clinical trials, but may not be available until 2012 or 2013. How do oxalates function in the body? Scientists had wondered if oxalate might help to manage calcium in the endoplasmic reticulum, but more recent studies see its role there as more of a disruption. We just cannot find evidence that oxalate has a beneficial reason to be high in humans, or that human metabolism ever increases making oxalate to fulfill some need. Some people have proposed using oxalate (similar to how doctors use poisons in chemotherapy) to treat cancers “naturally”, but they are probably not familiar with how this has already been studied, and oxalate released from a chemotherapy drug called oxaliplatin was found to produce serious neurotoxicity in those patients! Recent research on the management of oxalate trafficking in the gut and other secretory tissues is suggesting that excess oxalate secretion could end up involving changes in the regulation of fluid, pH, microbial defense, and antioxidant protection. The gut seems to be designed to eliminate excess oxalate, but perhaps when oxalate levels in the blood get much higher than what our bodies expect, then the excess oxalate may disrupt ordinary functions in the gut. At this point, mainstream oxalate scientists (and they are almost exclusively kidney doctors) are still thinking that the gut's problems are the CAUSE of oxalate absorption resulting in damage to the kidney, but they are not yet willing to consider that the gut itself and its function may also be a victim of the excess oxalate coming from the blood even when the kidneys are not obviously diseased. Now that we have six years of experience in reducing oxalate in more than 3500 people in the support group associated with this website and in more people indirectly through their physicans, it seems clear that those who have had gut issues and reduce dietary oxalate are often seeing their gut function improve or normalize as they lose other chronic problems. Many who reduce dietary oxalate, but had NO obvious kidney issues, are seeing major improvements in other chronic conditions. Scientists must start looking with fresh eyes at these other conditions and their potential association to oxalate. So far, our list of conditions that improve includes fibromyalgia, interstitial cystitis, vulvodynia, depression, arthritis, and gut problems of all sorts, as wells as autism and many other developmental disorders. Some of these disorders have clear genetic links, but the gene defects may produce “leaky guts”, or oxalate problems all by themselves without the requirement of inflammation. Scientists know that issues local to the kidneys raise risks for kidney stones. They also found out that urine oxalate levels in those with kidney stones do not tend to be very different from urine oxalate levels in the rest of us. Even so, reducing dietary oxalate can help reduce stones, especially if other treatments did not help. Kidneys provide only one site of oxalate secretion, but oxalate is also secreted to skin, to saliva, to mucus in the lungs, and to the gut and stool. The relative importance of these other modes of secretion have not been adequately studied. Risk factors relevant to these other systems may account for why some people with oxalate issues do not have kidney stones or other signs of kidney disease, but may have serious effects in other places from an excess body burden of oxalate. The body has antioxidant and other protections against oxalate which work when the body burden of oxalate is low and the antioxidant resources high. These systems may be overwhelmed by higher levels of oxalate in the body's tissues, or when infection (frequent immunization?) overwhelms the body's antioxidant systems. For this reason, as long as someone continues to consume a high oxalate diet when their gut is “leaky” or when they are sick, then, eventually, in time, the damage may begin to appear as some organs begin to be affected by a buildup of oxalate, or by the disruption of the mineral chemistry that oxalate may inflict. Why do plants have oxalate? So why does nature put oxalate in plants that we might eat? Plants use oxalate to protect themselves from infection or from being eaten. Oxalate crystals can tear up the “teeth” of the bugs that eat them, and the bugs will stop and leave the plant alone! That's why oxalate is a good protection for plants that taste good to bugs, but they are a secret surprise for larger creatures who don't detect oxalate when they eat high oxalate foods, and who lack the ability to sense its toxicity and lack the means to protect themselves from oxalate's effects. There is simply too much distance between the time of consumption and the appearance of problems for anyone to have noticed this issue until now when the proper science is beginning to be done. Fortunately, there are plenty of other plant foods that are equally healthy as plants that are high oxalate. It is hard to learn that plants previously thought to be highly nutritious, like spinach and field greens, are extremely high in oxalate. In fact, spinach and many nuts are also high in the poison, cyanide, and who told us that?! Now, since more testing has been done, we can enjoy eating the low oxalate plants that have high nutrition without experiencing the subtle, and insidious buildup of oxalate. We can be happy about limiting our exposure to this clear antinutrient, mitochondrial toxin, and disruptor of cell chemistry. Please feel welcome to explore the rest of our site for more information! Also, the information on this site must not be construed as medical advice. Any medicines mentioned on the site must be prescribed by a licensed professional. Please consult your own health care professional about how any information on this site could fit into your own or your child's health care regime.